Mexican shrimp cocktail always brings a smile to my face. The tangy tomato entrada or “entrance” to an amazing meal is a tough dish to follow. The combination of sweet, tart and spicy is the perfect medley to accompany the plump shrimp overflowing from the tall glass it is served in. The most memorable and delicious shrimp cocktail I’ve ever experienced was at the Mercado Municipal in Zihuatanejo, a Mexican city in the state of Guerrero. Recommended by our taxi driver, the Mercado is a must stop for artesania shopping and local eats. Overwhelmed by the mercado’s vivid colors, spiced odors and noisy hustle that seemed to blend together, we were waved in by a man on a megaphone telling us not to miss the best shrimp cocktail in town. We were convinced and made our way to a small food stand with a mural of a giant, scary-looking shrimp painted over clumpy and peeling turquoise paint. As soon as we sat at the counter, two bulging shrimp cocktail glasses were placed in front of us, a stack of crackers, a bowl full of avocado halves and a couple of sweaty beers to wash it all down. 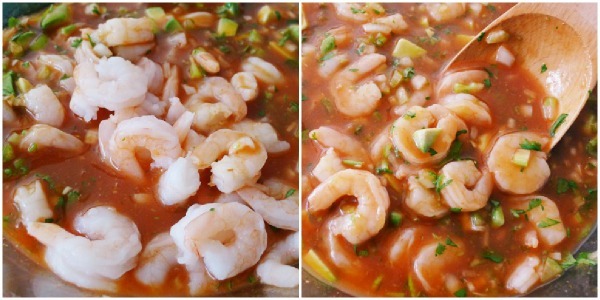 Trying to recreate that particular moment, here is my interpretation of the Mercado’s Municipal shrimp cocktail using Clamato and a few other ingredients I found at Walmart. 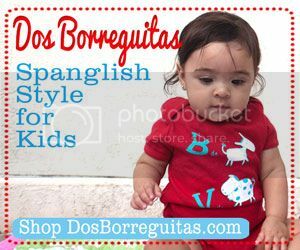 It’s a hit at family get-togethers, tailgates and football play off parties. 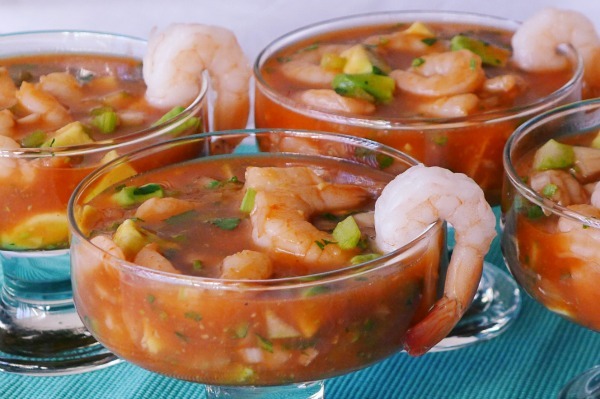 If you prefer a spicy version, add a chopped up Serrano chile to the mixture and enjoy! 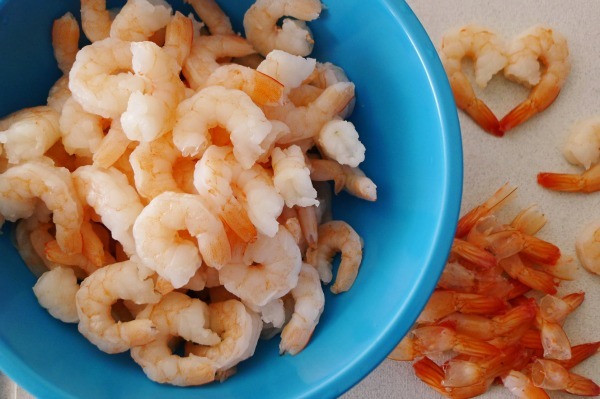 Thaw shrimp in sealed bag by submerging it in warm water for approximately 15 minutes. Remove tails and rinse. 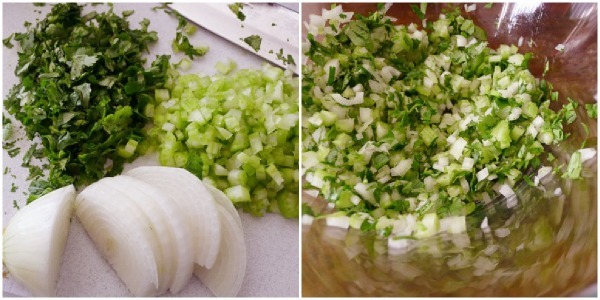 Chop celery, onion and cilantro and place them in a large salad bowl. 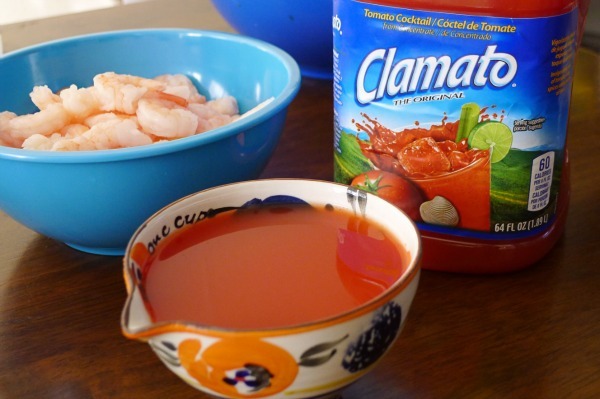 Add Clamato Tomato Cocktail to salad bowl and gently stir. 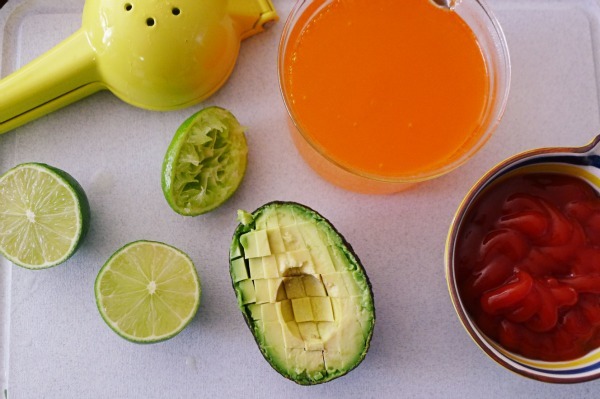 Add lemon juice, orange soda, ketchup and avocado to mixture. Refrigerate until ready to serve. Serve with assorted crackers. 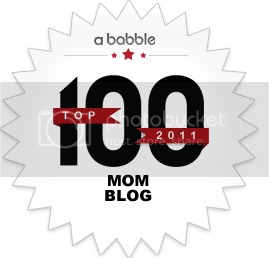 Disclosure: As part of the Walmart Moms program, SpanglishBaby received compensation and the products to facilitate this post. As always, all stories and opinions are our own. 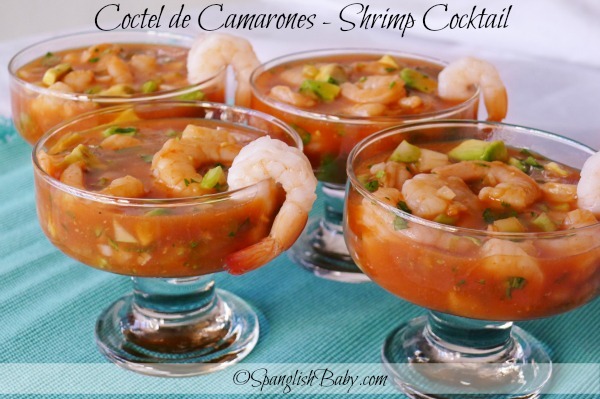 I love shrimp cocktail but had no idea how to make it before. Pinning this for later! Thanks! Ooh wow, that looks amazing! My husband would adore this! Thanks a bunch for sharing a fabulous recipe! This looks so good!! So yummy! I’m a little confused. The recipe calls for lemon juice, but the picture shows 3 limes? From my experience…limes should be used. I think it must have been a typo in the ingredients list. I happened to notice the same thing and looked at the comments so see if it had been addressed and when it wasn’t, I decided to go ahead and respond. The best Mexican Shrimp Cocktail I’ve ever tried has been at Nuevo Vallarta in Grand Blanc, Michigan. Thank you for bringing up the lemon/green lemon/lime question. For this recipe I used Mexican lemons, which are the green ones. They are more commonly referred as lemons in Mexico rather than limes. The yellow, sweeter lemons are only found commercially in Northwest Mexico and those are referred to as limones reales. The topic can be a confusing one but I think we are referring to the same type of (green)lemon/lime. Thanks for visiting! I made it last weekend for a family bbq, and I ended up regretting not making a double batch. Everyone loved it. So good! Ericka Sánchez–Proudly born in Torreón, Coahuila Mexico, Ericka arrived in the United States in 1982 to El Paso, Texas. Her love of food began in her mom’s kitchen but flourished in a food photography studio where she assisted in food styling/design and photo shoots. 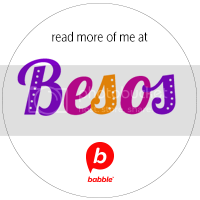 Now a wife and a mom to a 2-year old toddler, Ericka launched her bilingual blog Nibbles & Feasts in 2010 as a guide to satiating food cravings through recipes and to share her restaurant recommendations and food events in Los Angeles.